June 16: Gordon Grdina Quartet + Oscar Noriega’s Crooked Trio – Sound It Out! 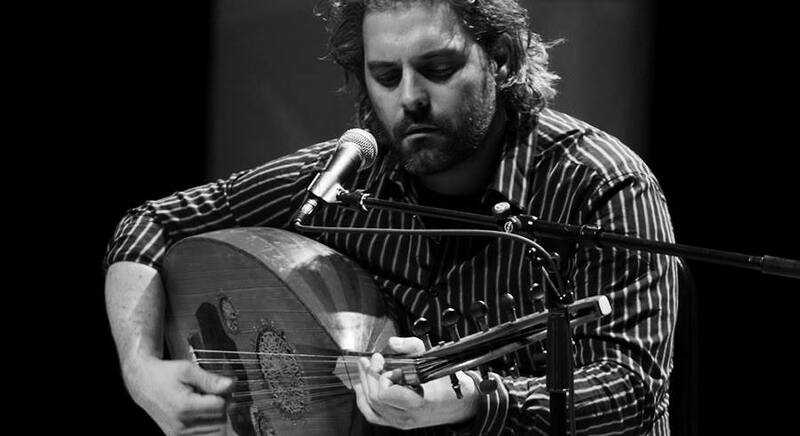 Canadian oud player and guitarist Gordon Grdina has a distinctive, alluring sound woven from the threads of both jazz and Arabic music. His New York-based quartet with reed player Oscar Noriega, pianist Russ Lossing & drummer Satoshi Takeishi released the intensely poetic album Inroads last year, and the group will be presenting music from that Songlines release and more at Greenwich House. PopMatters, reviewing Inroads, called the album “bold and downright great,” hearing such disparate influences as Bartók, Ornette Coleman and Soundgarden… Doing double-duty on the night, Noriega — a charter member of Tim Berne’s hit band Snakeoil — will open the evening behind the drums with the Crooked Trio, his popular band with pianist Marta Sanchez and bassist Lim Yang; known for playing a longstanding standards gig at Barbes, the trio will be showcasing Noriega’s compositions for Sound It Out.